We asked members of our community some questions about influence. In this post we are sharing some of the poignant answers from Jenni Marie. Jenni Marie is a photographer, traveller, blogger and we are excited to say that she is hosting our panel discussion at the May 27th event in Abbotsford. As mentioned at the beginning of the month, influence can have dual meanings. For some it is all about marketing and sales. 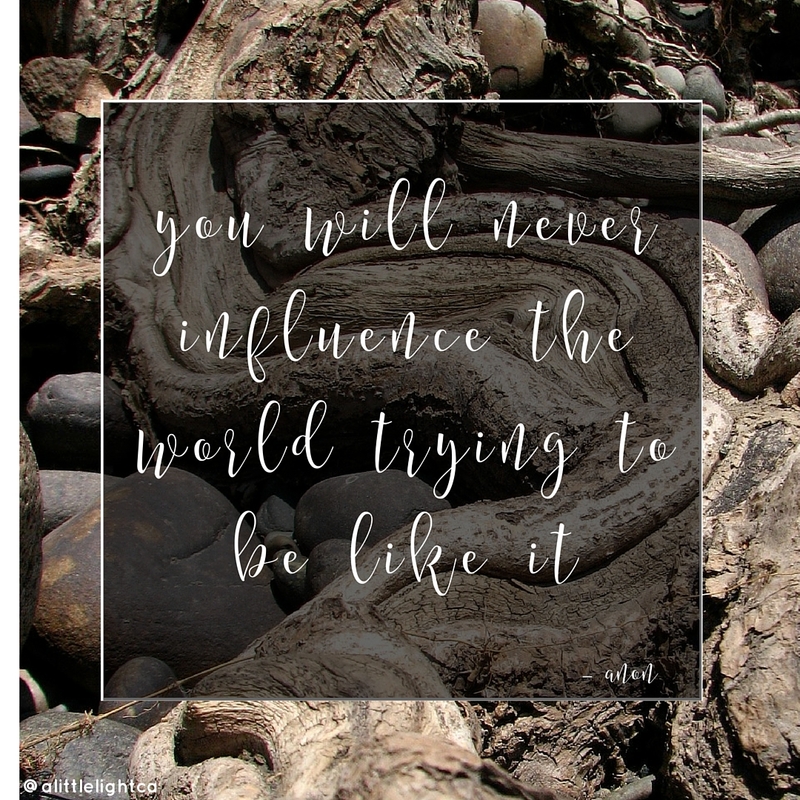 This is the exciting version of influence, the one we are drawn to. We think it means we have control over the conversation. Deep down we like this control, it makes us feel safe. 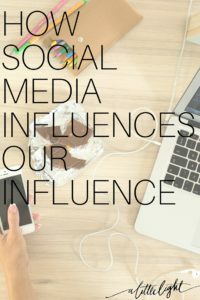 We are drawn to the modern day idea of influence because it puts us in the power seat, it builds our platforms which might make us money or at least give us security in our online success. This type of influence can be measured by stats and sales and followers. This type of influence often has short-term goals. There is also a definition of influence that looks like people using all they have and are to impact others in a way that benefits others rather than the influencer. This type of influence often requires us to be more vulnerable and bold. This type of influence is difficult to measure because it is about an influence of the heart. This is the long-game that, sometimes, only God knows the outcome. Somewhere in the online space, we are walking the line between these two types of influence. As consumers of social media, we are constantly influenced by the work and words of others. We are a digital generation and in a sense, we are never alone or without answers. We invite multiple streams of influence into our life multiple times a day, as we browse Facebook and Instagram, listen to podcasts, text our friends, google stain removal and so on. I’m sure I am not alone when I say there is not one portion of my own life that hasn’t been influenced by something I saw or read online. Have you ever been influenced by someone else online? As with most consumers of social media, eventually, we become content creators. We all have something to contribute to the online community in some way, whether it’s a facebook status about our kid’s birthday or a youtube series about great fashion finds. As content creators, we now have to be mindful of how we are being influenced by social media as well as how we are influencing others. For most of us, we know that the influence of social media is two-sided. There are so many wonderful things about this ability we have to be online. . .
We have this incredible platform that can reach virtually anyone seeking our message and we can be a resource or support in their lives. When we post about our day, say on Instagram, we might be able to share something more vulnerable than what would come up in our daily conversations. When we take the time to create our own content and find our niche we are working through a maze of world exploration and self-awareness. We can find like-minded women to collaborate with. We can join online groups for almost any topic of support we need. When a reader sends us a note telling us that our work helped them or meant something to them – then we realize that what we do online matters. Our influence is everywhere we put it and the many places that others share it to. Then there are the tougher things about working in this online world…. It is a platform for comparison. For most content creators I know, myself included, this is the biggest struggle of being influenced by social media. It is something that creeps into all I do online because I look around what others are doing and I think I ought to be ‘measuring up’ or ‘stepping in line’ or ‘trying harder’. This means I lose myself. We cannot compare our influence and platforms to someone else’s. We cannot compare our gifts and stories and audiences to someone else’s. We must trust that God puts us where he needs us. We must be who he called us to be, where he called us to be. We need to retain our authenticity in all we do online. It makes all our conversations public. One of the most enjoyable things about social media is the ease of engagement. We get to comment and like one another’s posts. Underneath the chat and the thumbs up, we are well-aware that we are being watched. Sometimes this causes us to add a note to the conversation just for the sake of being part of it. Sometimes this gives us a chance to share love and grace with how we interact with each other. Sometimes this restricts the words we really want to share, the ones we might share if we were one-on-one or face-to-face. Sometimes we share something online that gets no response. All you hear is crickets and you own mental dump truck of over-analytical questions about every.word.you.shared! It drives us to seek ‘success’. A tough thing about being online is that we are still on the upslope of learning how to fit it into our lives and careers. 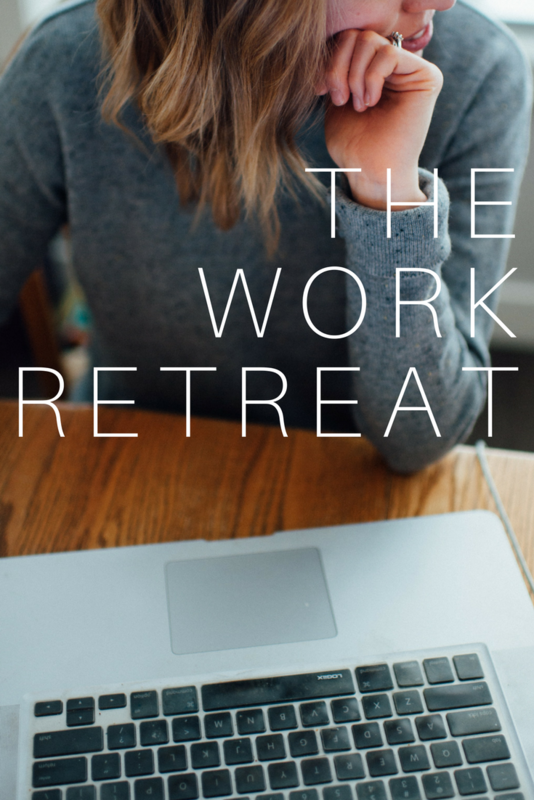 There are many of us spending hours a day perfecting and promoting our online work. We tend to seek out ways to ‘justify’ it. Often this is with monetizing or building such a large following that popularity is a form of currency. These aren’t bad things to work towards but they can’t measure our ‘success’. We need to determine our own definition of success before we even begin the work. We need to do the work that is in our hearts for the sake of doing the work. It focusses on stats rather than our content. When we speak about online influencers there are numbers attached to that. Followers, likes, comments, bounce rate, time on page, etc. are all used as ‘proof’ that we have influence. We might even adjust our content to service these stats. We could even mistake influence for fame and followers as the truth is we might be influenced more profoundly by our friend’s aunt’s facebook post than we are by Beyonce’s latest tweet. 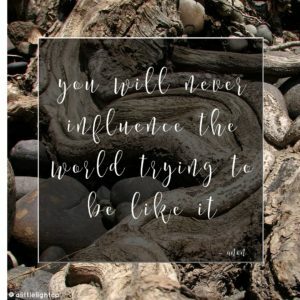 What struggles do you have with using your influence? It turns us into broadcasters. I heard Sara Critchfield at Blissdom, she gave a talk on social media and she pointed out that social media was originally about connecting people to each other. Now it is about connecting people to ourselves. When we find success with building our platforms we often forget to remain in community. Community is where influence happens, when that community is genuine. We might find ourselves in a place where we become broadcasters, even if our message is positive and valuable, we still need to be genuinely engaging with others on the ‘community level’. 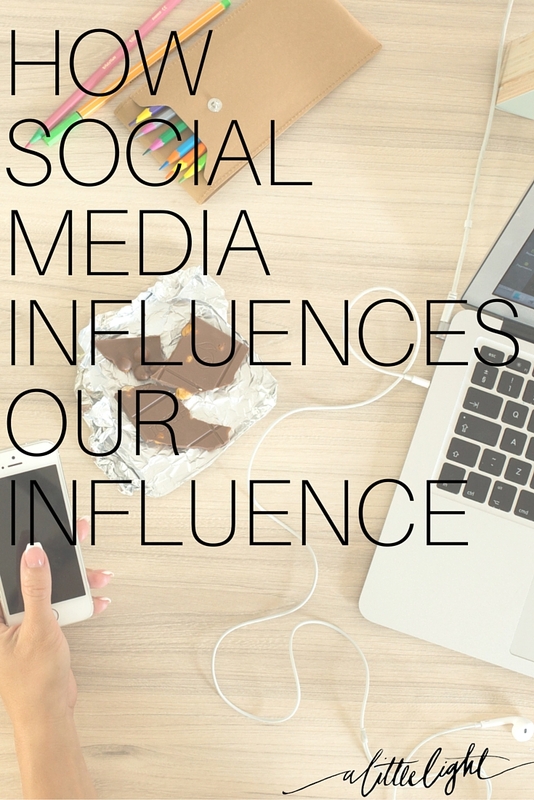 How do you feel that you influence others by what you do online? Social media might be one of the most impactful tools our generation has access too. We have all been drawn to it for a reason and we all have something to share. We need to remember to keep social media ‘social’ and that when we are urged to be in the world but not of the world, it goes for the online world as well.